This Irish rebel song was written by Irishman Thomas Maguire. The banjo / mandolin tab is in G. Letter notes included for beginners. 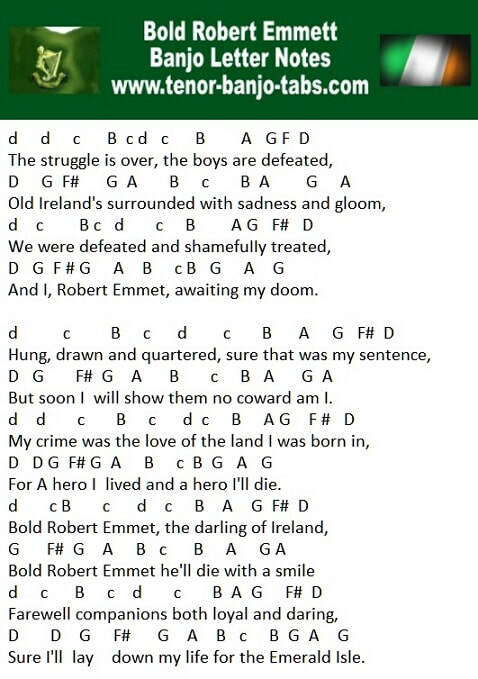 Robert Emmet started his revolution 1803 and we're still singing about him.